Prefabrication is a relatively new way to build structures, and like a lot of new things, you’ll hear mixed opinions about it. What people don’t like about it varies. It ranges from the limited customisation you can do on a module, the space you need to transport portions of your facility, or the potential difficulty in getting a loan for a modular home. While prefabrication has its flaws, there’s a reason it’s growing in popularity; prefabricated homes have a handful of advantages. We’re going to talk about five of them. Prefabricated homes are built in a factory, which allows for simultaneous site and foundation work. Getting work done concurrently can reduce project time by up to half of what you would be spending on traditional construction. Also, most of the construction process is done inside a factory, which can hugely lessen delays due to bad weather, theft, or vandalism. Tighter construction can allow faster occupancy, which allows for a faster return on investment. The factory setting of the prefabrication process is a more controlled environment than an actual site. These increased controls allow for better material planning, which reduces material surplus. You then have less storage cost and less material loss from damage or pilferage. Because of the time you save from building without weather constraints and getting on-site and off-site work done simultaneously, you also save on labour hours and manpower costs. You can also save on costs involved when your project is in an area that’s hard to access, like far-flung towns or places experiencing a surge in construction. Easy building access to remote areas was something the Queensland government enjoyed when they provided prefabricated houses for disaster-damaged remote towns in 2011. Ensuring high-quality prefabricated homes is generally easier since modules are constructed in climate-controlled facilities with precise equipment and methods. They’re built using plans with exact specifications on materials and building procedures, so the finished structure would be more consistent with the design you have in mind. Compared to traditional buildings, prefabricated structures go through more initial wear and tear from the transportation of modules and the craning of these portions onto the building’s foundations. Putting this into consideration, each individual module has to be built stronger, in order for the final structure to satisfy building codes and standards. With stronger modules, prefabricated homes can have the same or even higher level of quality as a site-built house. Prefabrication can significantly reduce the demand for raw materials and energy. The reduction of material surplus and being able to recycle modules translates to less waste. Since most of the construction is done off-site, you also reduce the impact on the site environment. With good planning, you can also decrease the amount of vehicles and equipment needed at the construction site. Constructing prefabricated homes can also be safer for builders. With most of the building done indoors, there is less risk of accidents, environmental hazards, and other such liabilities. Materials are kept safe as well, so there is less likelihood of theft and vandalism. 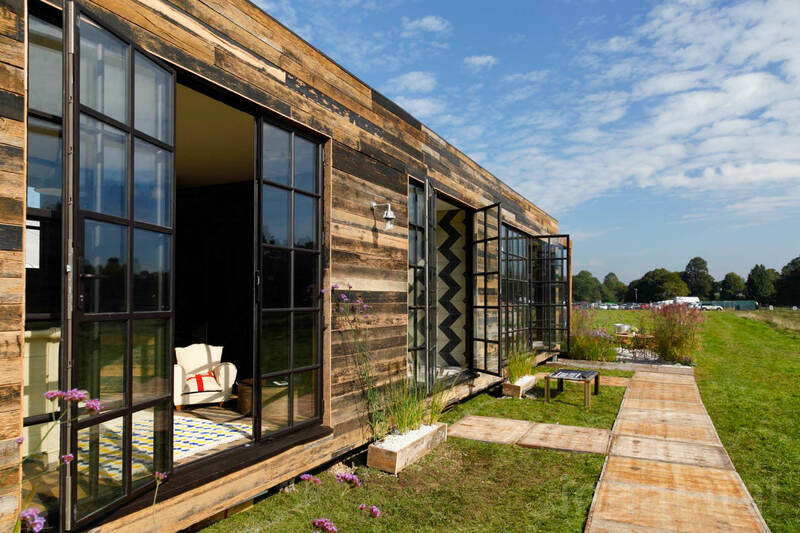 Prefabricated homes can be disassembled and relocated or remodelled for reuse. You can create a new building with less time and effort than if you were to construct anew. Our team of architects and building designers can help you find out more about prefabricated homes and other types of residential projects. Contact us for consultation and a free quote. Don’t like prefabricated homes? Get custom house plans in Sydney.